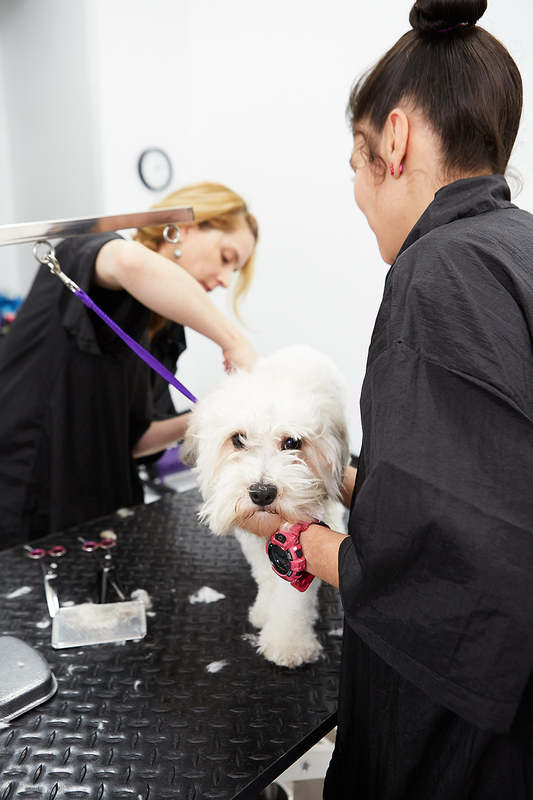 Should you open a mobile or brick-and-mortar pet grooming business? Home/Pet Services/Should you open a mobile or brick-and-mortar pet grooming business? Setting up a grooming business is something many passionate animal lovers aspire to do. There are two distinct ways the business can be started. Each type of business has its advantages in comparison to the other. One huge advantage a mobile groomer possesses is saving capitol. Buying or renting a space to groom these adorable creatures can put a big dent in the wallet. Maintaining those costs is where the payments really start to hurt. A mobile groomer needs their equipment and a van and they are ready to begin their journey as a small business owner. On the contrary, rent, electric, and water bills are a few costs that a brick-and and-mortar business must sustain on a monthly basis. This puts a much added pressure in consistent sales. Let’s face it; people are just busier and lazier these days. Maintaining a pet’s hygiene is a very difficult task to keep up with. I have a Pitbull named Ricky. I run around outside with Ricky every night for at least a half hour. After some time of playing fetch and horsing around, Ricky is covered in mud and dirt. By the time I get home I am too tired to give Ricky a bath. Now if I have the opportunity to sit on the couch, go on my smartphone, and find a trusted groomer to pay us a visit, that is exactly what I am doing. As of 2015, there are roughly 80 million homes in the US who possess a pet. The market of a brick-and-mortar groomer is typically confined to the local demographic and a few travelers. The physical location may limit the reach of the business. A mobile pet service has the capability to travel, target specific markets, and work within a broader radius. Comfortability is one of the most important factors in choosing someone to take care of your dog. A dog is truly a man’s best friend and a member of the family. As a dog owner, I consider my pet as one of my closest companions. I would never put Ricky in the hands of a stranger whom I don’t trust. Having a brick-and-mortar business indicates that this person has put a lot of time and money into doing something they are passionate about. As a pet owner, a groomer with a physical location gives me a greater sense of comfortability. Having a physical address is essential in establishing a successful online presence. A small business owner must have a brick-and-mortar location to give their business the best chance at being picked up by the sites where people are searching for pet groomers. Having a map marker can help a business get discovered in local searches, which have increased in frequency over 34X in the past few years. If a mobile pet service wants to improve its search engine optimization (SEO) and combat this disadvantage, it must ensure that their online presence is frequently kept up with and accurate. Acquiring customers through word of mouth or referrals by veterinarians were thought to be the only way a groomer could expand its clientele. Now it’s 2015. Referrals and word of mouth have evolved into online reviews and social likes & shares. Google did a study and found that 49 percent of local searches for a small business occur without a specific business in mind. This means half of your market is word of mouth and the other half is doing a blind search on various sites. People are getting new pets every day and moving around the country. This means groomers have the potential to constantly acquire new clients. The significance of an established online presence not only allows for these potential clients to feel more comfortable, but it gives your business the best shot of steady growth.